‘Shine bright like a diamond’ with Colorbar Metallic Body Shimmer. Colorbar Metallic Body Shimmer Miss Reflective 001 is a loose multi-purpose shimmering powder that gives a body and faces a luminous and radiant look. It is a silk-like powder gives the skin a striking glow. 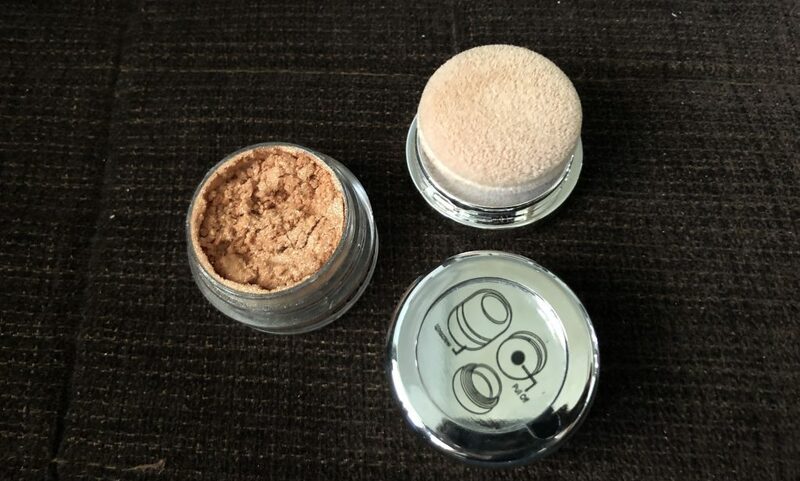 The shimmer powder minimizes the pores and lines of the face. 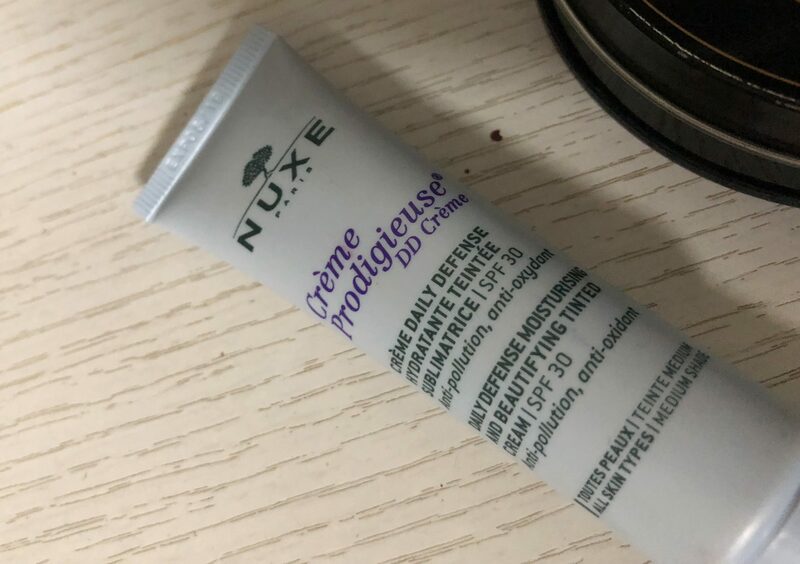 It can be used as a blush, highlighter or dusted over a body for shimmer. 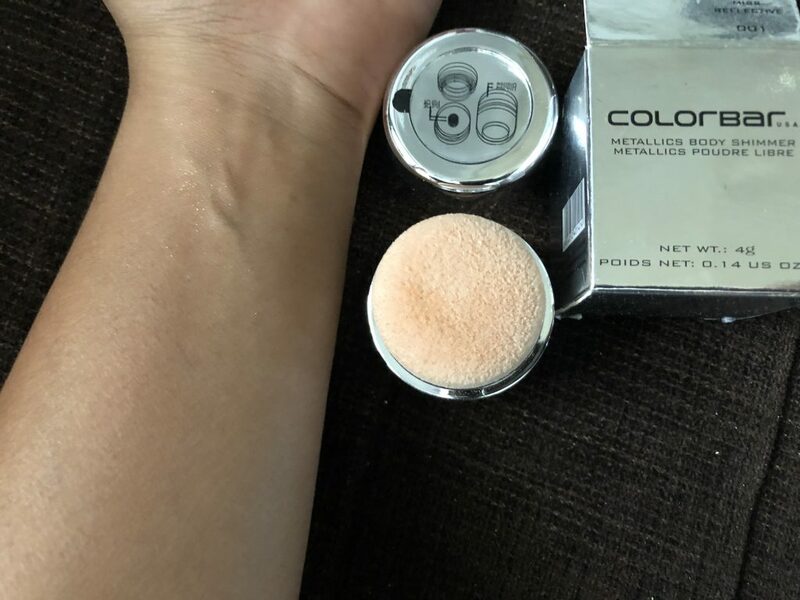 Colorbar Metallic Body Shimmer comes with a sponge applicator which makes it easy to apply right quantity of shimmer on cheeks. Gently pat the puff on the back of your hand to bring extra powder to the surface. Smile then apply on cheekbones stroking the puff towards the sides of the face and you are ready to glow in any occasion. Ever dreamed of getting the sparkling sun-kissed even-toned look of the celebrities! 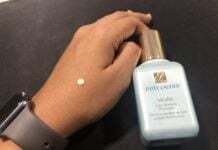 I craved for it badly until I ordered Colorbar Metallic Body Shimmer from Nykaa. I purchased it in a mindblowing deal which is of 399 bucks only. It comes in a trendy jar and convenient applicator sponge. It has beautiful outer packaging of signature colorbar packaging that is silver box printed colorbar on it. 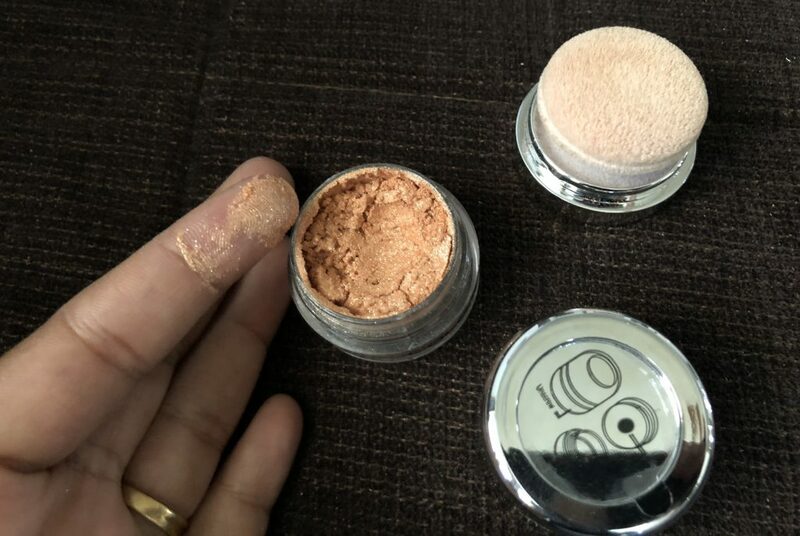 The powder comes in a see-through circular bottom containing loose shimmer powder in it which can be dispensed through a soft puff attached to it. It has silver colored push cap closing with a click for safety purpose. I just love the minimal effect of Colorbar Metallic Body Shimmer. It blends very well into the skin and provides sheen like a celebrity. The shimmer is a silky light powder, It doesn’t feel heavy on the skin. It has golden copper glitter which suits every skin tone from warm to cool. You can use it on your back or on cleavage if you wear lehnga or saree for looking glamorous for any party or occasion. It is a boon for the girls who love highlighter. Wow, It can be used as a highlighter too. You can use it on your cheeks too after applying blusher for a sheen look. This metallic powder makes you look younger than you are. You can use it as a beautiful eyeshadow. This shimmer will work very well for bridals too. A big yaayyyy, If you want to make your face look youthful, you can definitely go for it. It gives a beautiful glow to the skin.